Organic honey is one of the most healthful foods out there: naturally anti-fungal, antibacterial, and anti-inflammatory, honey is also rich in vitamin B, protein, and folic acid and has even been rumored to keep seasonal allergies at bay. 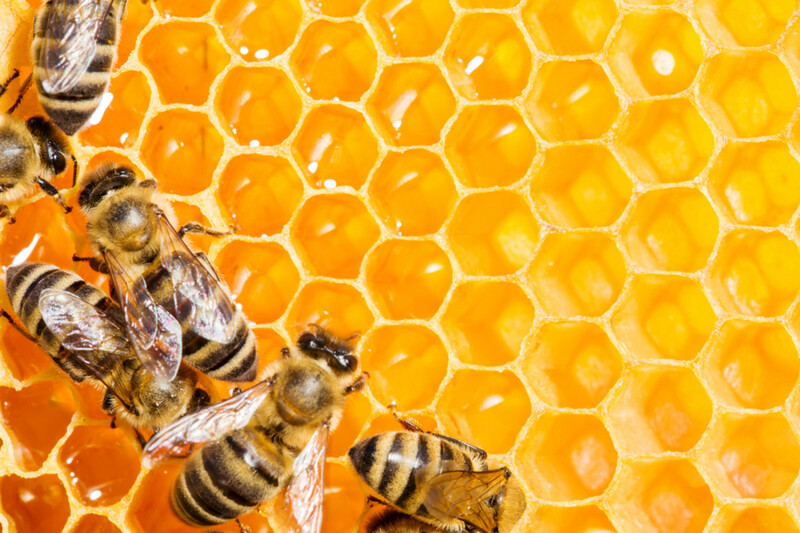 But you might want to give that organic honey label another look – it turns out our overuse of pesticides has tainted so much pollen that honey in the U.S. can’t be called organic anymore. 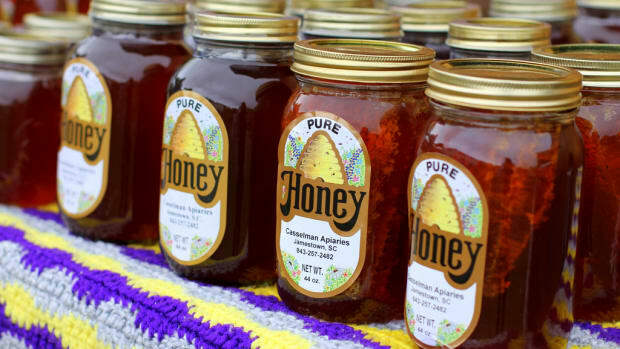 For a beekeeper’s honey to be certified organic, several different factors are at play. The first, of course, is the beekeeper using organic practices in the management of the hives themselves; commercial operations usually use pesticides in the hives to fumigate for deadly varroa mites, and they feed the bees antibiotics to prevent disease. Most conventional farmers take a “more is more” approach when it comes to spraying for pests and weeds, introducing dangerous chemicals like Monsanto’s glyphosate herbicide, which can drift to organic fields. 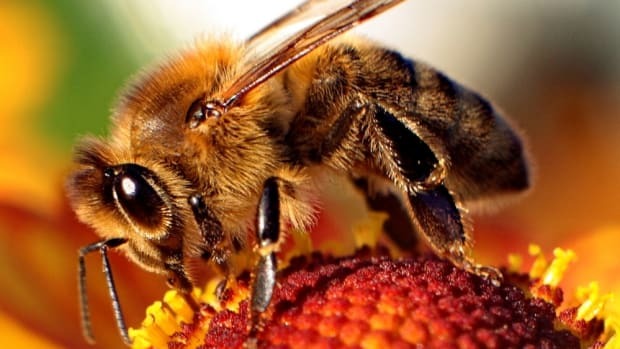 And what’s more, since bees, unlike organic melons or squash, are mobile, pesticides are often introduced into the hive based on where the bees choose to forage. 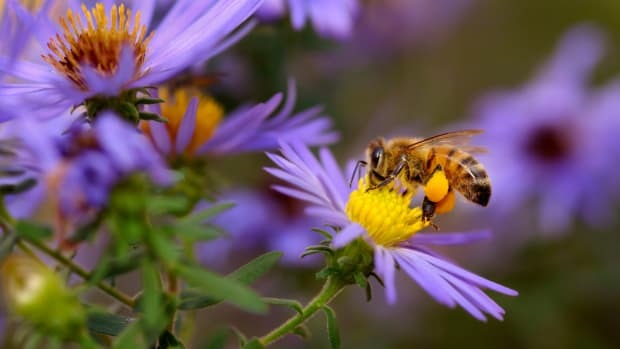 As crops replace wildflowers in most rural areas, bees are traveling farther to find pollen – sometimes up to five miles, according to Ellis – making it even more difficult to certify that a given honey is organic. The USDA is still out on specific honey requirements for organic certification – and has been since 2001 – but current recommendations for organic criteria for honey suggest giving bees only a two-mile radius for organic forage, and since we can&apos;t control where the bees choose to go, that label doesn&apos;t mean much. Add to this the fact that it’s not just organic honey – but honey in general – that’s decreasing in supply in the U.S. Due to colony collapse disorder, the U.S. is only producing two-thirds of the honey it did in the early ‘90s, and American beekeepers are losing about 30 to 45 percent of their hives annually, according to the National Honey Board. Where Can You Find Real Organic Honey? 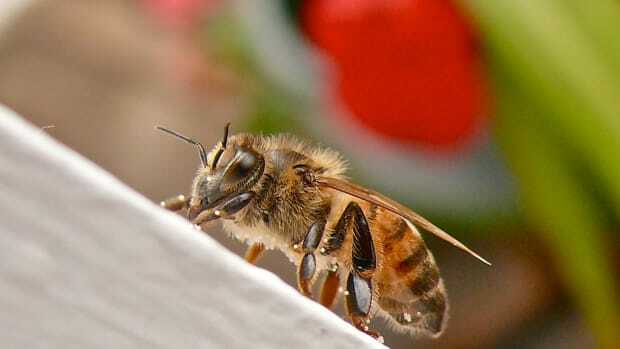 As supply of organic honey diminishes, demand continues to rise. Americans are eating more than twice as much honey as they did in the early ‘90s, which means they have to go elsewhere to find it. The National Honey Board states that only about a quarter to a third of honey consumed in the U.S. is actually made domestically, as Americans look to imported organic honey from Brazil, India, Mexico, and Cuba. Honey has quickly become Cuba’s fourth most valuable agricultural export, behind fish, tobacco, and drinks, but ahead of both sugar and coffee, according to Theodor Friedrich, the UN FAO representative for Cuba. He says that all of Cuba’s honey -- 7,200 metric tons in 2014 -- can be certified organic, given the strict pesticide regulations on the Caribbean island. That said, there are a few options for those who want to shop a bit closer to home. Hawaii’s wild forestland allows for bees to forage without encountering pesticide-treated crops, and until recently, has been one of the best domestic options for organic honey. That said, given that Hawaii is in the process of becoming a veritable breeding ground for GMO crops, organic honey’s days are numbered there as well. So What’s an Organic Honey Lover to Do? In the case of honey, it might be better not to opt for organic, and instead to opt for local, for two very distinct but equally important reasons. The first is that organic might not be much better for bees than conventional, at least not on a large scale. 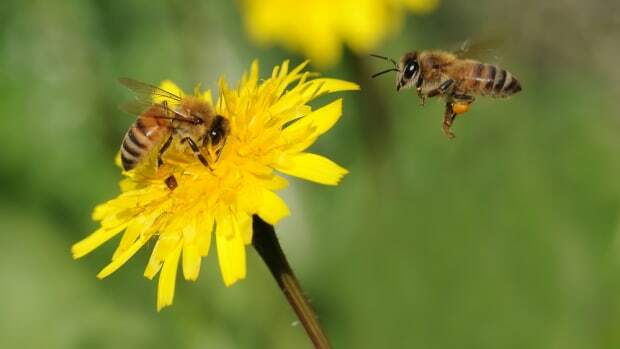 While a 2007 article by Canadian organic beekeeper and Green Party politician Sharon Labchuck seemed to suggest that organic was the way to stop colony collapse disorder – understandably, given the danger that conventional chemicals and pesticides posed to honey bee populations – it turns out that organic pesticides and herbicides may be just as bad, if not worse for bees. A Brazilian study in the Journal of Economic Entomology showed that copper sulfate, often used as an organic fungicide, was more lethal than insecticide spinosad when ingested by bees. Small-scale beekeepers working with only a few hives tend to shy away from using broad-spectrum treatments, treating seeds on an individual basis instead of spraying, something that’s much better for the health of the bees, according to Dr. Ruth Kava, Senior Nutrition Fellow at the American Council on Science and Health. 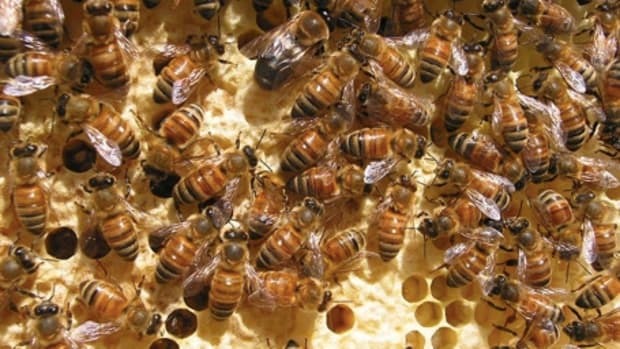 Bees that are raised on smaller hives also experience less stress, according to Labchuck. 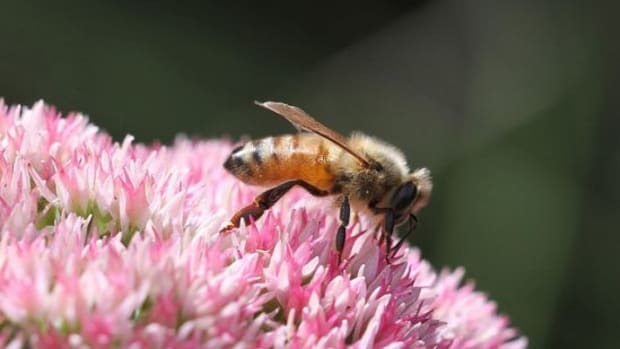 “Factory farmed honey bees are more susceptible to stress from environmental sources than organic or feral honey bees,” she writes, going on to cite an organic beekeeping e-mail list of about 1,000 people to which she belongs, none of whom had reported colony collapse in 2007. These smaller operations do not participate in such practices as hauling hives long distances to provide pollination services to industrial crops, stressing the bees. 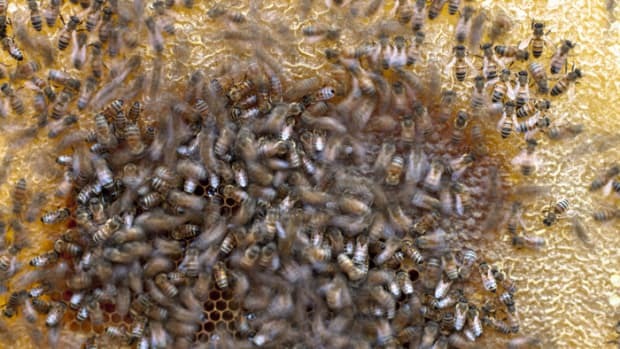 Bees are also not forced to build larger cells than they would naturally, as many do on factory farms. These beekeepers let the bees do their thing, and that’s the best thing we can hope for. And local honey from small beekeepers isn’t just better for the bees; it&apos;s also healthier for us. The health benefits of honey are associated exclusively with raw, unfiltered honey, and all of the allergy benefits of honey are attributed only to honey from the region in which you live. It&apos;s much easier to make sure that honey has not been heated or filtered when you know your local honey producer, and the magic of real, raw honey far outweighs the organic label in this case.